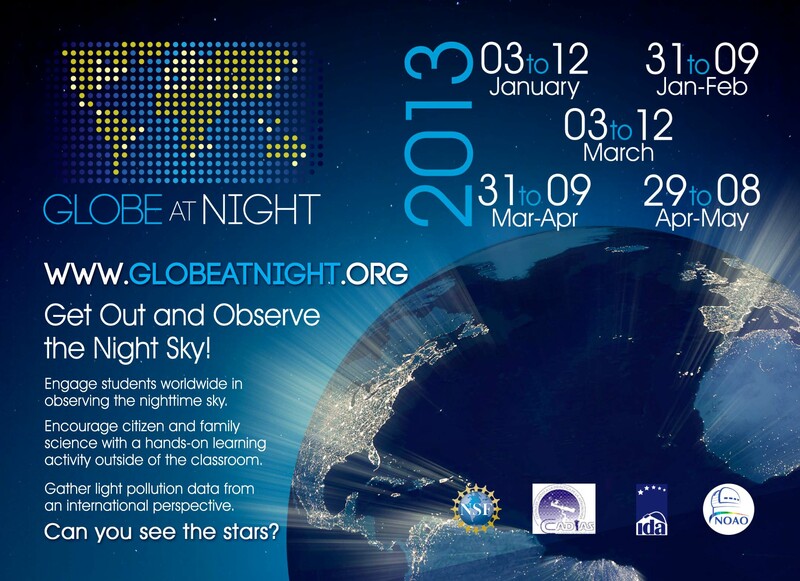 Get to know more about Astronomy in a more fun and interesting way through Popcorn Astronomy! 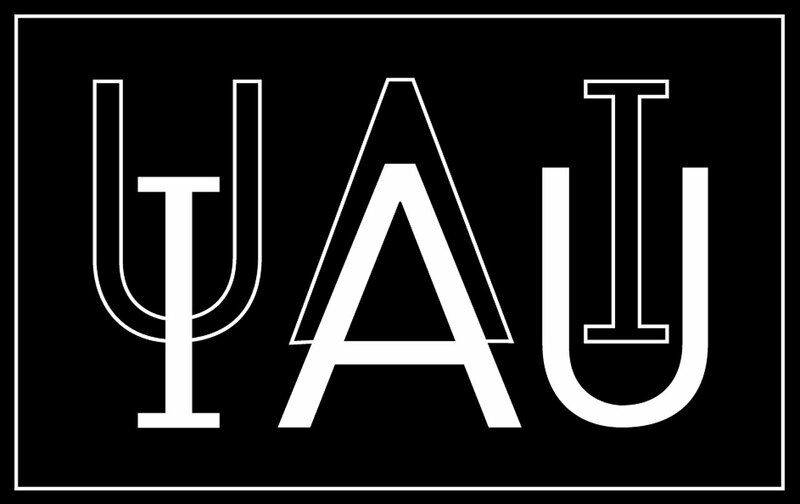 Popcorn Astronomy's logo by Ronald Buenaflor. 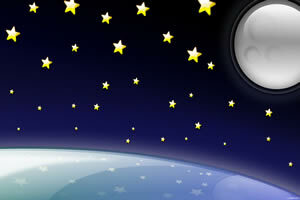 Like Popcorn Astronomy on Facebook! A friend and fellow amateur astronomer from the University of the Philippines Astronomical Society (UP Astrosoc), Ronald Buenaflor coined this term to describe learning seemingly difficult astronomical concepts through an easier, interesting and “digestible” manner. According to him, “It’s like eating popcorns while looking up the sky”. 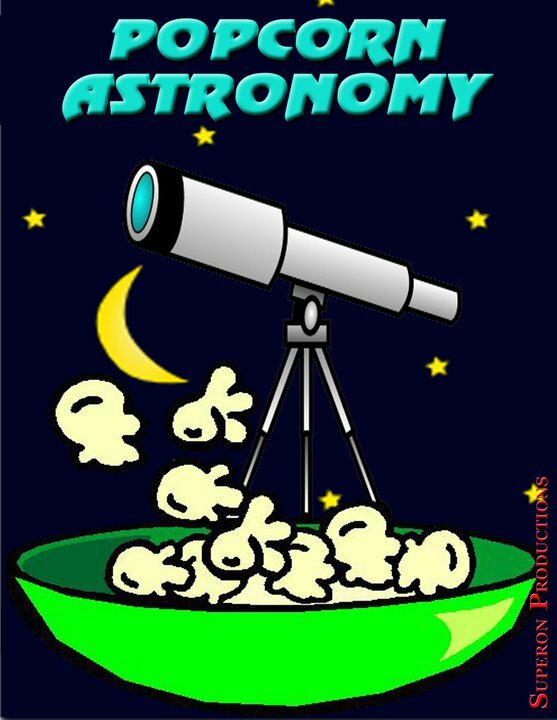 Popcorn Astronomy’s Facebook page aims to share trivia and other fun stuff related to astronomy to make it more fascinating for everyone. Astronomy is a cool science. Whether you are simply a gazer of stars or an avid student of astronomy, there is always something new to learn about our galaxy and beyond. The study of astronomy gives us essential information about the universe that is used for practical and scientific applications. Despite astronomy being the scientific study of the heavens, you don’t have to be a scientist to be an astronomer. Anyone with the proper know-how, determination, and persistence , with or without equipment, can make contributions to the field of astronomy. In fact, astronomy is one of the fields whose body of knowledge can and is regularly enlarged by the efforts of amateurs. This is especially true when it comes to observing and documenting transient phenomena, where professional astronomers simply may not be available to observe them. 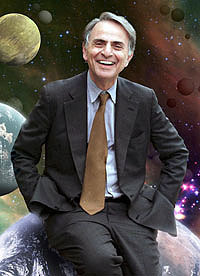 Yesterday, Nov. 6, 2010, a lot of people from different communities and organization joined the celebration of the Second Annual CARL SAGAN DAY. This event was launched by a local coalition of science and reason-based organizations to celebrate his legacy at the 76th anniversary of his birth (November 9, 1934), and to increase public involvement in the excitement of astronomy and space exploration. 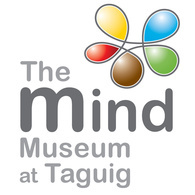 Several activities, like workshops, talks, a 5-k run, science displays, games, showings, etc. were included in this event to encourage public participation. There was even a live streaming of the talks by different speakers on some astronomy and cosmology topics so that people from other parts of the globe could also participate. Dr. Carl Sagan was a Professor of Astronomy and Space Science and Director of the Laboratory for Planetary Studies at Cornell University. He served as an advisor and consultant to NASA, and played a major role in the establishment of SETI (Search for Extraterrestrial Intelligence). He was a Pulitzer Prize winning author and most familiar to the public through his COSMOS series on PBS. In addition to numerous awards, recognitions and honorary degrees for his outstanding contributions, he is acknowledged as one of the most effective public faces of astronomy and space science throughout the world. Sagan died in December 1996. No other scientist has been able to reach and teach so many non-scientists in such a meaningful way. In fact, the National Science Foundation declared that his “research transformed planetary science… his gifts to mankind were infinite” in their posthumous award to Dr. Sagan. 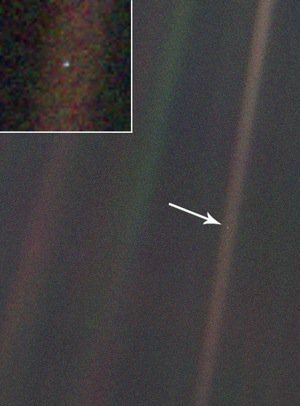 Earth as seen from Voyager 1 while on the edge of our solar system. The image above was taken at the request of Sagan by the science team as the robot was passing the 3.7 Billion miles-from-home-marker. The beautiful intro to the Cosmos television series. Carl Sagan talks about the universe and our place within it. – It is commonly claimed that the Great Wall of China is the only man-made object visible from the Moon. This is false. None of the Apollo astronauts reported seeing any man-made object from the Moon. 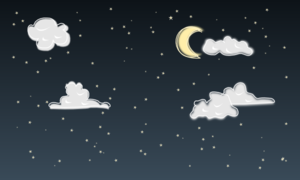 The misconception is believed to have been popularized by Richard Halliburton decades before the first moon landing. – Black holes, unlike the common image, do not act as cosmic vacuum cleaners any more than do other stars. When a star evolves into a black hole, the gravitational attraction at a given distance from the body is no greater than it was for the star. That is to say, were the Sun to be replaced by a black hole of the same mass, the Earth would continue in the same orbit (assuming spherical symmetry of the sun). Due to a black hole’s formation being explosive in nature, the object would lose a certain amount of its energy in the process, which, according to the mass–energy equivalence, means that a black hole would be of lower mass than the parent object, and actually have a weaker gravitational pull. – When a meteor lands on Earth (after which it is termed a meteorite), it is not usually hot. In fact, many are found with frost on them. A meteor’s great speed during entry is enough to melt or vaporize its outermost layer, but any molten material will be quickly blown off (ablated), and the interior of the meteor does not have time to heat up because rocks are poor conductors of heat. Also, atmospheric drag can slow small meteors to terminal velocity by the time they hit the ground, giving the surface time to cool down. – It is a common misconception that seasons are caused by the Earth being closer to the Sun in the summer than in the winter. In fact, the Earth is actually farther from the Sun when it is summer in the Northern Hemisphere. Seasons are actually the result of the Earth being tilted on its axis by 23.5 degrees. As the Earth orbits the Sun, different parts of the world receive different amounts of direct sunlight. In July, the Northern Hemisphere is tilted towards the Sun giving longer days and more direct sunlight; in December, it is tilted away. The seasons are reversed in the Southern Hemisphere, which is tilted towards the Sun in January and away from the Sun in July. In tropical areas of the world, there is no noticeable change in the amount of sunlight. – It is a common misconception that it’s easier to balance an egg on its end on the first day of spring. In fact, the ease or difficulty of balancing an egg is the same 365 days a year. This myth is said to originate with the egg of Li Chun, an ancient Chinese folk belief that it is easier to balance an egg on Li Chun, the first day of spring in the Chinese lunar calendar. In Chinese Li=setup/erect; Chun=spring/egg. Setup spring is a Chinese solar term, literally interpreted as erecting an egg for fun. It was introduced to the western world in a Life article in 1945, and popularized once again by self-titled ‘urban shaman’ Donna Henes, who has hosted an annual egg balancing ceremony in New York City since the mid-1970s. – Mars will look as big as the Full Moon. Not only is this statement untrue, but, like the Energizer bunny, it keeps going and going. Mars makes a great telescopic sight when it’s closest to Earth. However, it will never appear as large as the Full Moon to the naked eye.